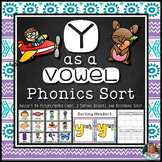 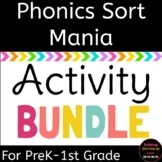 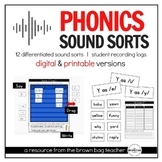 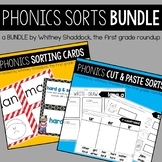 Y as a Vowel: Phonics Sort Students will sort 24 Picture/Word cards into the two categories “Y Sounds Like I” and “Y Sounds Like E”. 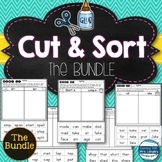 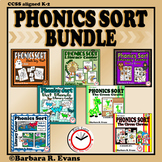 Set includes 2 sorting headers and a recording sheet for accountability. 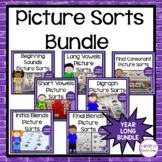 Black/White version included! 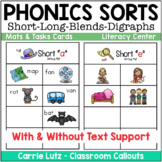 Please see preview for a closer look at the words included. 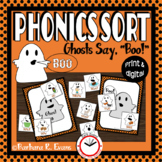 HALLOWEEN PHONICS SORT: Ghosts Say, "Boo! 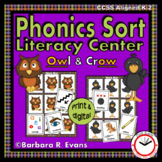 "Ghosts Say, “Boo!” is a literacy center for primary grades. 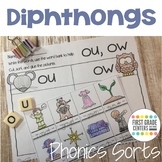 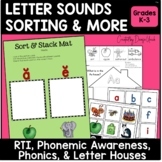 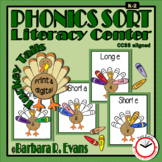 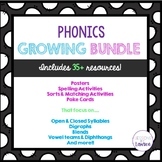 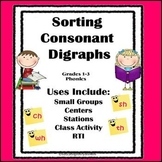 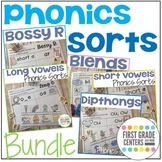 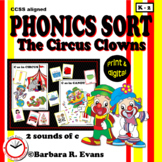 In this activity, students will sort the word/picture cards by the sound of the vowel or vowel digraph. 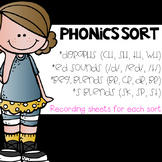 Words that have the /ō/ sound, as in GHOST, will be put on the work mat that is labeled GHOST.